Megan Santa Croce, 22, recently graduated from Binghamton University and planned to teach in Honduras with a Catholic outreach organization. But unfortunately, this Port Dickinson native's goals were tragically put on hold when on June 26, Megan needed to undergo surgery to remove a cancerous tumor from her abdomen. Her second bout with cancer. At the age of 15, Megan had first encountered a similar circumstance while she attended Chenango Valley High School. Physicians had determined she was battling what is known as a rare Sertoli Leydig tumor and would need chemotherapy for post operations. Now in her third round of chemo treatments at Binghamton Lourdes Hospital, Megan is the newest recipient of the Sean's Standing Strong Memorial Fund (SSSMF). Founded by Beth Shumaker of Hillcrest, in memory of her son Sean Shumaker, the SSSMF will provide financial assistance toward Megan's educational pursuits or participation in recreational activities as she recovers. Saturday, Megan was honored at the 5th annual Black and White Party and Fundraiser at the Holiday Inn. 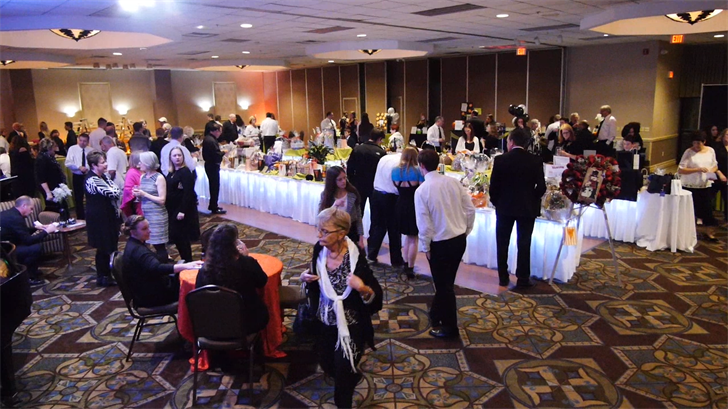 The event featured live entertainment, food and beverages, basket raffles and a silent auction that is estimated to collect over $7,000 in proceeds for Megan's future. "Megan is a great girl. She is very uplifting and positive. I think [Sean] would be very proud," said Beth Shumaker. Standing Strong representatives said with the allocated funds, Megan will have her college classes paid for as she continues her journey to obtain a Masters Degree in education. Over the past five years, 16 young adults from ages 18-24 have benefited from the Standing Strong Fund. According to Beth Shumaker, whether those affected by cancer wanted to; obtain a certificate in massage therapy, take college credit courses for dental hygiene, or require assistance for student loan payments, the SSSMF will be there. "Just to get a smile from them...we would be happy," said Beth Shumaker. The Sean's Standing Strong Memorial Fund is currently assisting young adults with all types of cancer, ages 18-24 years old. Applications can be completed by a recipient or someone connected. Click here to find out more.